Enjoy an Uisce Hour; a session in our indoor/outdoor wet space with detox box sauna and hot tub. A 30 minute session in the infrared detox box burns between 900 – 2400 calories, and soothes aching muscles by directly heating damaged tissue. Admire Loch Nahoo from our hot tub and feel your cares melt away. Indulge in a Holistic Massage, designed to relax body and mind. See our brochure for what’s on offer. Walk along our Celtic Nature Trail, which details the native plants, trees and flowers of Ard Nahoo, and their role in Celtic myth, legend and folklore. Please find the accompanying booklet in this folder. Take in a Yoga Class (Tuesday evenings for beginners and continuers and Wednesday evenings for pregnancy) or book in for a private session with Noeleen. Walk the Loch Nahoo Loop, which begins at our gate. This route takes around 50 minutes, and winds around our namesake lake, with migrant whooper swans, and also Dromahair village. Visit the village of Dromahair, and explore the ruins of Creevlea Abbey, the river Bonet and the sheep along the way! Drop in to Stanford’s and sample the best pint of Guinness in Ireland. There’s music every Friday, with a trad session every other week, and open mike, folk and country nights in between. Enjoy a meal at the Riverbank restaurant, one of the finest in the country. The Riverbank offers a fantastic deal for a Sunday lunch, at 25 for three courses (13 for children). Book in advance to avoid disappointment! Book in for a Kayaking session with Dermot of Paddlemonkey. Dermot will take groups of between 3 and 6 for a morning or afternoon session on the lakes, with a popular excursion taking in the Lake Isle of Innisfree. 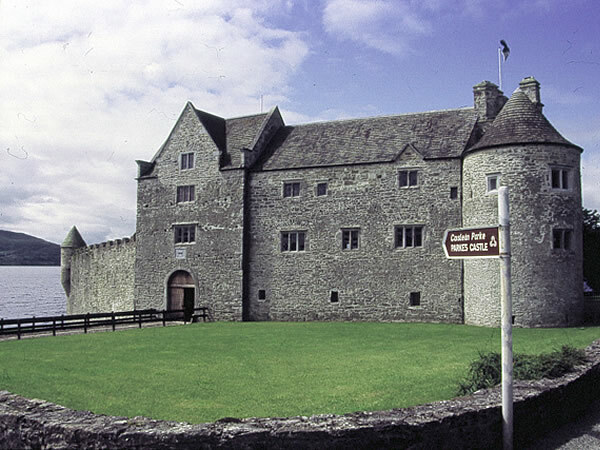 Take the Waterbus from Parkes Castle, across Loch Gill to Sligo. Take in the Lake Isle of Innisfree, with poetry recitals and cocktail evenings. Be sure to allow time to explore the castle before you depart. Walk to O’Rourke’s Table, for fantastic views of Leitrim and Sligo. You can either drive to the entrance and climb the final hill, or walk the whole way from Ard Nahoo. Cast the rod at either Loch Gill or Carrigeencor, and see what bites with some of the best Fishing opportunities in Ireland. See a gig or play in the Glens Centre in Manorhamilton. With shows throughout the year, this is a fantastic venue with great artists playing throughout the year. Book early if you can, but call last minute and you might get lucky. Cycle out to Carrigeencor, a swimming lake about five miles away. If the weather is nice, there’s no other place to be! Go horse-riding with Island View Riding Stables, who will take you out on a private section of beach to canter into another world. Drive to Eagles Flying, a sanctuary for birds of prey and owls. They give flying demonstrations daily at 11am and 3pm. Drop in at The Organic Centre, in Rossinver Co Leitrim. The centre has demonstration gardens, tours, willow sculpture, café and shop, as well as courses running throughout the year. North Leitrim itself is stunning with mountains and lakes around every bend. Drive out to Sligo, and take in a little shopping, gallery hopping and cafe culture. There is also a cinema and swimming pool in town, for those rainy days with the kids. Take in the stunning Beaches of Co. Sligo, with Rosses Point, Streedagh and Strandhill not too far from our door. Surf Lessons are available at Strandhill Surf School. 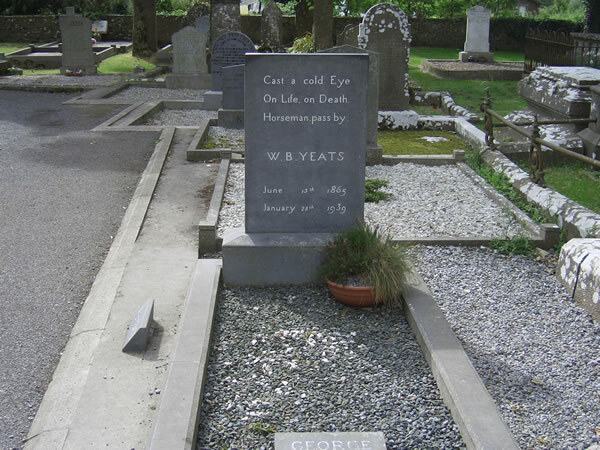 Visit Yeats’ Grave, and pay homage to one of the greatest Irish poets. Be sure to stop off at the beautiful tea rooms for refreshments. Head north to the Marble Arch Caves, host to one of Europe’s finest showcaves allowing visitors to explore a fascinating, natural underworld of rivers, waterfalls, winding passages and lofty chambers. The Cavan Burren is a prehistoric complex at the Burren forest, just outside Blacklion, with a dense concentration of archaeological remains, mainly Neolithic, Bronze Age and early medieval. Well worth a visit. Visit the Glencar Waterfall for a beautiful excursion. 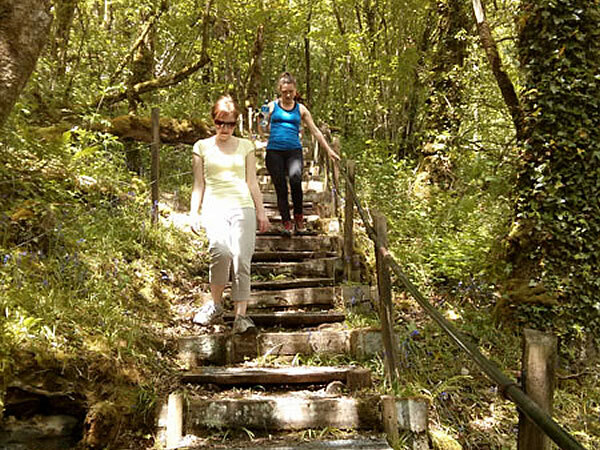 Explore the Arigna Mines for an insightful and thought provoking trip. If you do visit any of the local attractions, please be sure to mention you came from Ard Nahoo. Enjoy! Discover Ireland Tours is one of the leading inbound tour operators in Ireland. With specialties in student, leisure, performance and special interest tours this destination management company has Ireland covered. Talk to them today to see what they can do for you and your tour group.